Most of you might have heard of this service before. 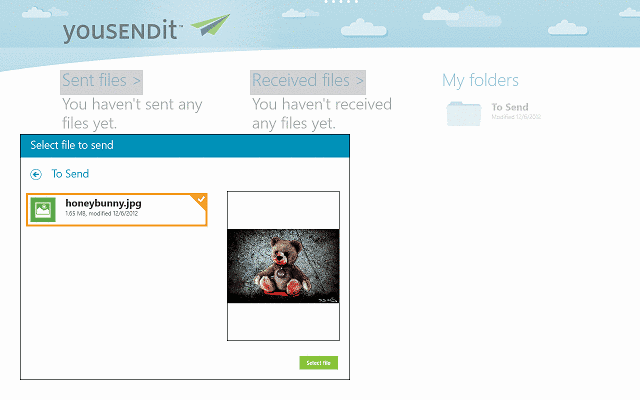 YouSendIt allows users to send files of various sizes to any other user in Windows 10 and Windows 8.1. 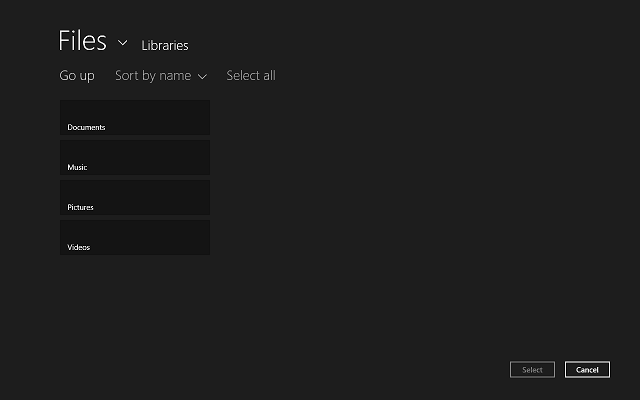 Now, those of you who have been using this service will be able to use it on your Windows 8, Windows 10 devices and send or receive files much more easier. Of course, there are some limitations of the service, but its functionality is still as big as always. 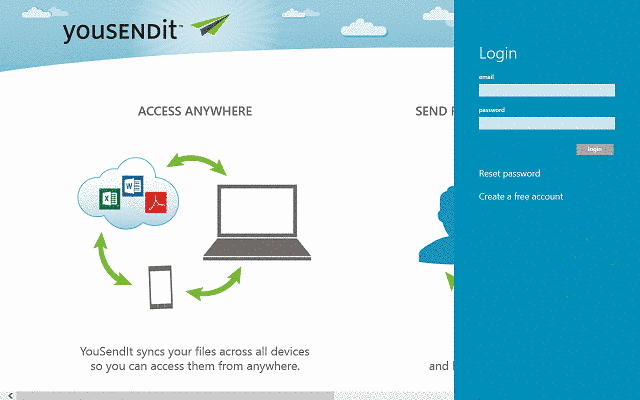 You can manage your files, by creating or deleting folders and moving or sending files. YpuSendIt gives sharing a new perspective. When first using the app, I thought that it lacked many of the features that I wanted, but after using it for awhile, I noticed that it works pretty good and it lets me share files quickly, without the need of ever accessing the website. 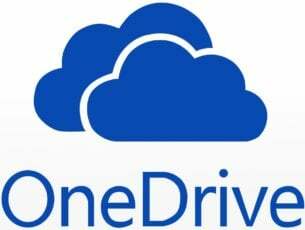 The service is very similar to the Dropbox or Skydrive apps: it uses a local folder and it uploads your files to the server, where you can access them via the app or share them with your friends. If you want to share to more than one recipients, the app will automatically open your “People” panel, but there is an option of manually entering the email of the recipients. Afterwards, you only have to select “Send” and the files are on their way. It would have been great it you could upload files via the app itself, but sadly, no such feature exists at the moment of this writing. 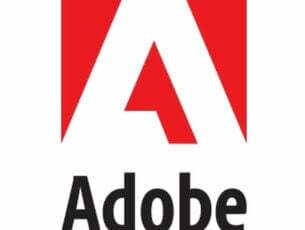 The app has discontinued the support for Windows-based PC’s. However, it is fully functional on mobile devices. Even if you have an ARM-structure mobile device, it will support the app. It also has very good reviews from clients. It is a good tool that can help you very much. Let’s hope it won’t be discontinued by developers team. You can download it in Windows Store and give it a try. All in all, YouSendIt is a great app that gives users the possibility to share files with anyone, in just a few minutes. I do admit it has its drawbacks, but overall, the app is great, it works perfectly and with time, I’m certain it will receive many more interesting features.